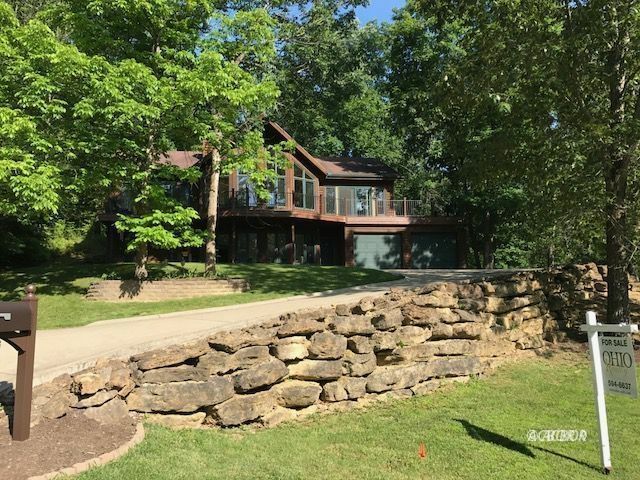 Located on a scenic wooded lot in Whitlind Woods, this four bedroom, three full bath has an inviting open concept and an abundance of natural light. This home features a great room with cathedral ceilings and a wood burning fireplace and is open to the kitchen and dining area creating the open layout most appreciate in a floor plan. Want to enjoy the weather? High end Anderson doors lead to the new and expansive Trek composite deck perfect for outdoor dining, enjoying a book, or watching the kids play. Many other recent updates include a remodeled master bath with heated floors, newer heating and cooling system and interior painting throughout. A lot to offer for an attractive price! Notice & Disclaimer: All listing information is provided exclusively for consumers' personal, non-commercial use and may not be used for any purpose other than to identify prospective properties consumers may be interested in purchasing or renting. Information is not guaranteed to be accurate. All measurements (including square footage and acreage) should be independently verified by the buyer. Calculations are estimated and do not include taxes and insurance. Contact your agent or mortgage lender for additional loan programs and options. Here's a listing I thought you might be interested in. Website and IDX services provided by RealtyPro IDX -- © Copyright 2011-2019 -- All rights reserved.